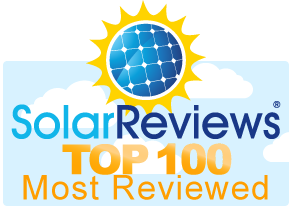 SolarEdge’s award-winning products convert solar panel energy with some of the highest efficiencies in the solar industry! Power Optimizers: These are connected to each solar panel and allow each to work independently of the rest, thus allowing for better performance in shaded areas. They also monitor the energy production from your solar system and integrate the solar system’s power performance into a home energy management solution. Inverter: At the heart of any solar system is the inverter. The inverter transforms the raw power from the solar panels into the AC power we use in our home to power all of our devices and appliances. SolarEdge StorEdge inverters incorporate battery back-up storage capabilities. Monitoring System: The cloud-based home energy management system allows you to track home energy usage and solar system performance in a range of intuitive, easy-to-use dashboard applications for your home and mobile electronic devices. A smarter energy solution is closer than you think. Take the first step today.